Have you noticed my new header? what do you think? which one is better, the previous or the new one? hihihi.. Well, kinda want to practice my new hobby of creating illustrations. 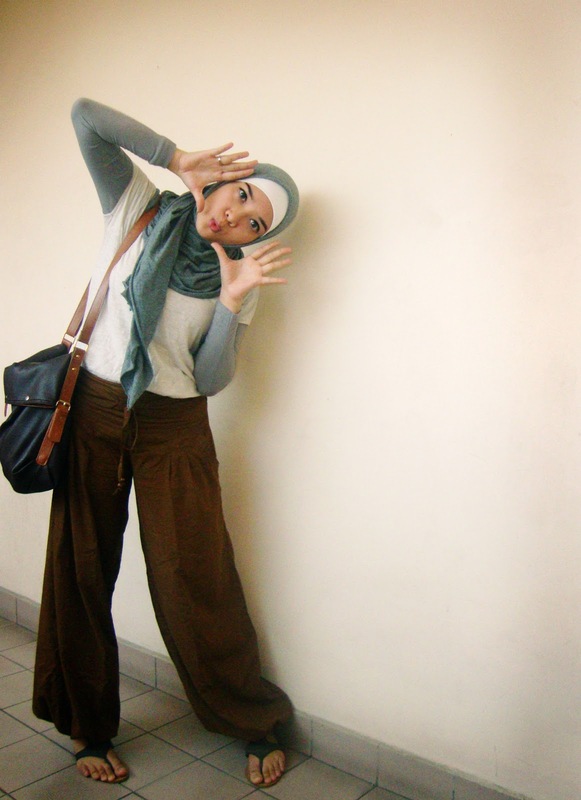 quick style when my hubby ask to go out for lunch: Gray inner t's from Tanabang, ZARA t's, Promod pants, Unbranded cotton pashmina, VNC sandals, Unbranded bag.